(Please also consult your internal counsel and data privacy officer for how your company should approach GDPR (General Data Protection Regulation)). While there are several strict laws of data privacy throughout the globe to include countries like Canada, Australia, and China, GDPR is a European-wide framework that is the strictest treatment of data globally and is consistent pan Europe effective May 25, 2018. GDPR enforces accountability for ANY company selling or marketing into Europe and emphasizes the collection and processing of data. This law impacts all companies, and their sales’ and marketers’ communication. There are several elements of GDPR legally to abide by, but the two largest concerns are making sure that Individuals give consent to data use and that the 3rd party has a legitimate interest, this link shows examples of the definition of legitimate interest. A plan should be put in place around the collection and storage of information that can identify the person, such as IP address, first name, last name, mobile numbers, and phone numbers among other information. The company itself is accountable for GDPR compliance regardless of whether the data was sourced by a 3rd party or not, so it’s important to understand how data is collected and how it is processed. It is critical that the marketer think through opt-in procedures, updates preference centers, and ensures sure that sales and marketing systems are properly processing data consistent with this new law. The law also includes unstructured data – for example, an email that is sent from Outlook must ensure that the individual receiving the email has consented to receiving information. A double opt in email approach is highly recommended as best in class way of ensuring clean data practices and is more likely found in a marketing automation system than in that of a sales automation system. Data input from 3rd party sources, whether purchased lists or through trade show uploads require specialized treatment from a data governance perspective. Consider a double opt in approach for all events, as an example of this special data governance treatment. Some sales technologies enable phone calls to be recorded and collected. Explicit consent will be required to record phone calls. You should clearly communicate to customers why their data is being requested for collection and how you intend to use it in any future activities. Other outbound phone calls must not be listed on a ‘do not call list.’ Other calls must give explicit permission for follow up communication to occur. Lastly, it is important that all tools are in compliance to governance – which would include sales automation tools (Outreach, Salesloft, etc.) as well as marketing automation tools. Marketers, make sure your sales team is compliant with their email automation tools. The future around e-privacy and cookies is likely the next law to come out next. It is an exciting time to be in Sales and Marketing in 2018! In Morgan Stanley’s recent ‘Software Eats the CMO Suite’ survey, the number one business to business challenge for Chief Marketing Officers with their technology purchases is the inability to successfully integrate disparate technologies into a unified platform. This integration issue is also a consistent one we see across our enterprise client base and through informal polling of my professional network – the end result is a disjointed customer experience and an incomplete way to identify what marketing tactics are driving true sales/business results. As a root cause of the issue, in larger enterprises, these platforms run cross organization – for example, internal IT ‘owns’ the data warehouse, whereas Marketing owns Marketing Automation. This ownership rift exacerbates the challenge of bringing disparate systems together with no one organization owning the integration aspect of systems like these. The inability to have a seamless customer journey so that the journey is one experience, not several disjointed automated experiences. We find this to be the fundamental driver of customer success. Non-reportable, non-actionable data. Can’t correctly answer the question ‘what demand generation / online sales techniques are most effective with disparate islands of data?’ This situation is a sharp pain point for ANY CMO trying to attribute their performance to revenue. Start with the end in mind – determine ‘what are you hoping to accomplish with an integrated strategy that drives the right customer experience?’ Get others in the organization to buy into that approach and assign a business owner to the process. This step is sometimes referred to as a ‘needs assessment’. Select the initial automation platform wisely and not hastily. A specific marketing automation choice dictates a significant part of your go to market strategy and your ability to integrate with partners to drive a seamless customer experience. Switching costs out of platforms are expensive and time consuming. Invest time in really understanding the partner ecosystem and/or hire someone who has that understanding, else risk wasting valuable time. Understand API capabilities on your chosen marketing automation platform – leveraging APIs is the ‘mortar between the data bricks’. There is a radical difference across each REST API of automation platforms. Some platforms will charge extra for use of the APIs. Be mindful or find a trusted partner who has done these kinds of integrations before as API work is often times non-core to the business. As a B2B enterprise, what issues are you experiencing in cross platform integration? What platforms do you most effective to automate your customer experience? Would love to hear your comments! Today’s blog contribution comes from Jon Russo, founder of B2B Fusion, a sales and marketing performance firm focused on connecting marketing investment to new revenue. Enterprise clients include Anthem, Ricoh, Thomson Reuters, and Level 3 among others. Jon currently serves on the Board of Directors for MOCCA, the leading enterprise association for operational excellence in Digital Marketing. Prior to founding B2B Fusion, Jon held global CMO roles for 10 years in private and public technology companies in Silicon Valley, NYC, and Luxembourg. 2016: Where should an organization invest an incremental dollar in marketing? At a recent New York City gathering of forty senior B2B marketing executives of the Marketing Operations Cross Company Alliance (MOCCA), the hottest 2016 marketing planning topics were people and investing an incremental dollar in data. People: Kathleen Schaub, VP of IDC’s Chief Marketing Officer Advisory practice, illustrated new industry research indicating 59% of technology firms having CMOs with tenure of two or fewer years; in addition, 25% of marketing roles today did not exist ten years ago. With this amount of change on people, it becomes very challenging to find the right skillsets, thus the war on talent. Yet given the critical importance of marketing tech and the sheer amount of hype that is in the market, IDC found it surprising in its research of nearly 100 technology firms that fewer than 2% of marketing staff are in dedicated technology roles. IDC also finds that companies’ information technology teams still provide marketing with very little support. As marketing technology becomes a bigger part of marketing operations, some roles become “blurred” or ‘mixed’. In advanced organizations, the use of technology may be greater than strictly found in dedicated roles. IDC believes that the greater part of the growth in marketing technology and corresponding support roles is still in the future – compounding the need for these skills. As customers move their buying process away from direct and inside sales representatives and towards digital buying patterns, organizations are also making that same shift to cut costs. This trend toward virtual sales is seen as model that blends 75% digital (web properties, digital assets, cognitive computing, analytics, and other automation support), and 25% person vs. what might have been a 100% human-based role ten years ago. The work of the SAP team has evolved to include survey insights and understanding attendee areas of interest through a process called “behavioral fingerprinting”, which uses sensors to understand audience traffic flow and areas of interest going into and out of the event. It also takes into account on-site focus groups and deep social media analysis to add the customer’s voice to the numbers and patterns emerging. The team is now in a position to react to heat mapping at the event – in real time – and redirect the flow of traffic to other sessions or areas of interest for the audience. 2016 is an exciting time to see the dawning of an accountable Marketing function with newer technology and people to drive this accountability. B2B Fusion is a sales and marketing performance firm focused on generating higher quality leads through optimized technology, process improvement and marketing/sales alignment. 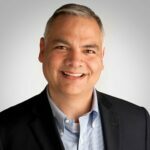 Led by Jon Russo, former technology/information services CMO, B2B Fusion analyzes funnel dynamics, improves revenue business processes and delivers best practice data and nurture strategies for enterprise clients like Anthem, Level(3) Communications, and Thomson Reuters. Jon currently serves on the Board of Directors for MOCCA, the leading enterprise association for operational excellence in Marketing. As part of Oracle’s Modern Marketing Experience (#MME16), over 2200 modern marketers listened to CMOs from Clorox, Sears, and Western Union share their data driven transformation journeys. Eric Reynolds, CMO of Clorox commented on his digital transformation on how ‘it takes courage to start down a road where you don’t know where it will end.’ In this environment of constant technology innovation and the pressure to perform, many of us could relate to that statement. Throughout the week, several other enterprise peers presented their digital learnings with an emphasis on the MarTech stack that best enabled their data driven decisions. While there were several other announcements regarding the B2C Oracle Marketing Cloud, here were three other lessons learned from MME16 that B2B enterprise attendees could use as next steps to execute against. Speed matters. In his keynote address, Oracle CEO Mark Hurd called out the macro economic trends by framing up the pressure he and his peer CEOs are under to perform, correlating that pressure as to why we as marketers need to respond with tangible results. With S&P 500 top line revenue growth nearly flat over the last five years and IT global spend down by over 5% in the last year, modern marketers need to move quickly, test, and experiment to achieve measurable results. Account Based Marketing (ABM) is more than just the new black. In her ABM breakout session, Meagen Eisenberg, CMO of MongoDB leveraged Eloqua and Demandbase among fifteen other marketing technologies for a new account based strategy, targeting and nurturing approach. Meagen displayed her dashboards and revenue conversion rates on her ABM efforts. Oracle announced an account based score and account nurturing capability that streamlines a manual Eloqua process; each could be valuable for marketers to consider as they plan their ABM strategy. Bringing order to data chaos through integration: Allen Wagner, head of Marketing Operations for Deltek, echoed a common theme of other enterprise presenters in finding a ton of value in utilizing the Eloqua API to connect islands of information. Specifically, having the ability to pull and push data to and from disparate sets of data to Eloqua to personalize, segment, and report effectively was of significant importance in getting a complete view of his customer or prospect interaction. From an informal attendee poll, several attendees felt the breakout sessions on company use cases of technology led by company spokespeople, not vendor or multiple panel members, provided the most valuable insight, more so than in years past. Many of us left MME16 with a renewed focus, more urgency, and a clearer picture of where an overall Eloqua and Marketing cloud strategy fits as part of a MarTech cloud strategy stack to drive new digital customer acquisition. Today’s blog contribution comes from Jon Russo, founder of B2B Fusion, a sales and marketing performance firm focused on connecting marketing investment to new revenue. Enterprise clients include Anthem, Ricoh, Thomson Reuters, and Level(3) among others. Jon currently serves on the Board of Directors for MOCCA, the leading enterprise association for operational excellence in Digital Marketing. Prior to founding B2B Fusion, Jon held global CMO roles for 10 years in private and public technology companies in Silicon Valley, NYC, and Luxembourg. 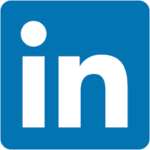 LinkedIn as a company is an innovator jumping into a new marketing automation market, leveraging their recent Bizo acquisition. This is worthy of study. Bizo integrates with marketing automation providers today such as Eloqua and Marketo, it will be interesting to see how LinkedIn develops their APIs on Bizo – will LinkedIn continue the open approach with APIs or like the rest of LinkedIn, will the APIs eventually be limited and those integrations get impacted? How global of an offer this is, will it work best in English speaking countries where IP addresses are more known (US, England, Canada, Australia, Singapore, etc.) vs. globally like all marketing automation has the ability to do? How does the data actually integrate with the CRM system when LinkedIn prides itself on owning its data and not selling it to others? Pricing for enterprise is at least $25k/quarter. Facebook is also dabbling in the marketing automation segment, although I’d expect that use case to be more B2C and commerce oriented vs. the enterprise approach LinkedIn is using. We are in for an interesting new era in reaching prospects with relevant content facilitated by marketing automation! Michael Dell, the founder of Dell Computers, recently said, ‘Data is the key competitive differentiator in today’s business environment.’ I believe he is right. Data is the star of the 2015 sales and marketing show; enterprises will generate new business, optimize their current state of data, and close more deals as a result of the improvement in data quality. According to Aberdeen, nearly 91% of B2B Enterprises have not properly optimized their lead flow process. Proper data is a key ingredient in that optimization. Despite data not being a ‘balance sheet’ item historically was overlooked by non-marketing executives, executives will begin to assign company initiatives to improve data as they realize the direct correlation of the effectiveness of the inquiry to close conversion process to that of the quality of data in their customer relationship management and marketing automation databases. CMO’s career credibility relies heavily on the data quality when reporting on their impact to the business and they, too, will invest more cycles in improving the current state of their data. From this point, companies will begin to experiment with data predictability models. SaaS based enterprises with large volumes of inquiries and with client usage data will continue to be earlier adopters of such predictive data technology. SaaS companies will sort out the most probable to deal close or most probable to upgrade, with other companies eventually following suit. The overall predictive market in 2015 for marketers using data will still be very nascent (<$100M for all companies in the sales and marketing use case) but will be the fastest growth as a percentage quarter over quarter of any marketing technology in 2015. Here is my hour presentation that I reviewed with 30 others at the New Jersey BMA on Marketing Automation. This video slide deck is condensed down to 4 minutes. Note the emphasis I put on data – data is at the heart of a successful revenue acquisition technology like marketing automation or predictive analytics. Selling is one of the toughest professions in the B2B world today. 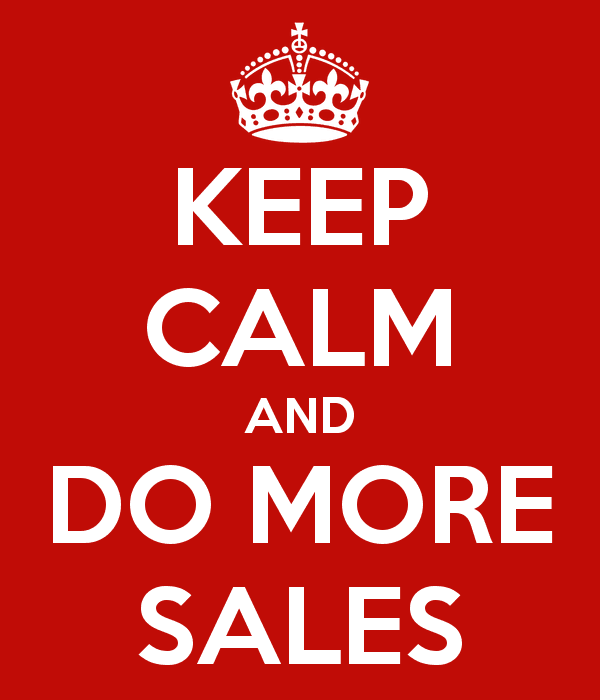 I think non-sales people underestimate how challenging selling really is and can be. Lesson 1 – Attitude determines altitude. In the face of frequent rejection, a sales person needs to keep fresh and balanced. This is something I’ve seen repeatedly of sales people I’ve worked with. Those with the best attitudes, sold the most. Some really good additional ideas came from the Carnegie class about listening to podcasts from Brian Tracey to Zig Ziglar among others. While I’ve heard of both authors, I’ve begun listening to both as part of my day to day gym routine. Lesson 2 – Giving away value – the largest lesson I learned was how infrequently as a buyer, I’m receiving value add information to help me in MY role in a company. Too many vendors keep pushing the unilateral ‘here is my widget, are you interested?’ message ineffectively. Carnegie with a partnership with Jeff Gitomer encourages to build a relationship over time from seller to buyer by the seller offering up consistent value in the relationship pre-sale. This value could be in the form of industry information that may be relevant for that buyer to succeed in their position independent of the selling process or sales person. Lesson 3 – Sales is a structured process, it’s up to the seller to walk the buyer(s) through the process. Too often in my own situation, I’ve held off on walking through an explicit end to end structure. Listening to the philosophy of taking a step by step approach pays dividends in the end – especially in a consultative sale. This structure is somewhat proprietary to Carnegie but very logical in terms of a progression of establishing credibility, determining current state vs. future state, then pivoting toward a solution. Lesson 4 – The power of asking – there is a direct correlation to the success of an individual and how often that person asks – asks for referrals, recommendations, more business, the business, etc. Although the timing has to be right, frequently the seller lets fear overcome the need to ask for the order or ask for the referral. Asking sincerely is critical as is the timing of that. This is no different from marketers (or any other org function) asking for promotions or additional resources. While none of these struck me as ‘rocket science’, the sharpening of fundamentals was helpful to think through my own selling situations to continuously improve. I think as a CMO or executive, sales training at a junior marketing level should be a ‘must do’. What have you learned as part of selling your ideas or concepts to others?